So I just got my go pro 2018 a few days ago and charged it to the max and went out. The battery lasted for an hour or so and i used it up fast. Now to my surprise the camera wont even turn on or charge even after I have charged it for aout a few hours or so. I see a lot of topics on this but no solution, and it is so frustrating. Its not a cheap camera to have an issue this big. To return it or what? Ok, so here is the SOLUTION! 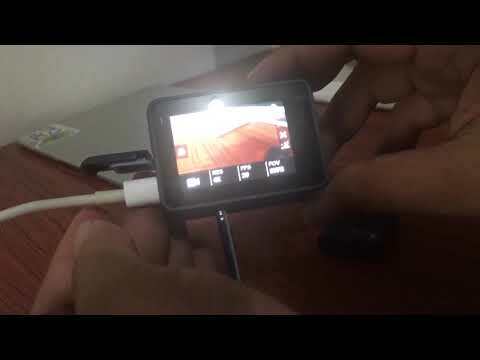 I have been searching online and trying to find a solution via GoPro help and forum without any luck. So basically when your battery dies out and you connect it to the charger it wont do a thing. I see that many people went and sent the camera to be repaired, but in my opinion it wont do you any good really. The camera should start to charge after this. The solution is easy and simple, but I had to do it twice in a few days so it seems it will follow me and many of you in the future. Hopefully new firmware will deal with this. Here is also the link from a youtube video that helped me out to find the solution for this issue. GoPro 6 battery not charging even plugged for an hour? This is how to recharge your gopro 6 battery when drained. You can try to contact our customer support team via phone or chat. Could you please tell us if you need to restart thé caméra. Do toi hold on mode button 10 seconds? If the steps on this article does not get your camera to turn on again, please let our Support Team know.